Erica took me to the opening of I Am My Own Wife at the Goodman last night. 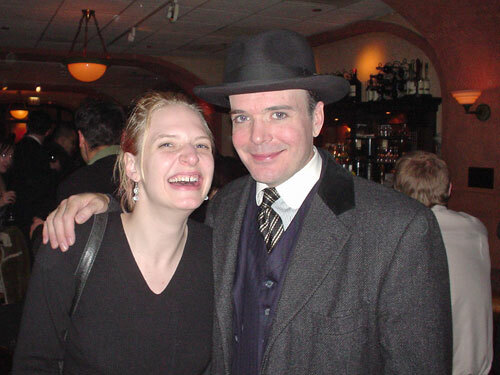 Above she's with the sole actor from the show, Jefferson Mays. The show was as good as I've been hearing. Shaun, on the other hand, went to see All Shook Up (one of those musicals where they take a bunch of songs from an artist and then build a loose story around them -- like Mama Mia) and it was terrible. And Shaun loves Elvis.